WELCOME ! As Patsy would say: Hoss, Come on in, sit right down and make yourself to home! some of Nassour's darker revelations . . ."
Angel. It all leads to that terrible nose-dive of the four-seater plane . . .
emerges is larger than life, yet still intimate. Honest and respectful." the singer's career . . . an honest, gritty look at '50s and '60s Nashville . . .
makes you feel just how great a loss Cline's death was to American pop music. the ranks of entertainment biographies." to Ellis Nassour, Cline (1932-1963) was the first woman to demonstrate that country music could appeal to a wide audience. Bold and ambitious, she was a free-living, earthy performer whom producers sometimes found difficult to work with. She apparently had few close friends, but she showed generosity to any number of people, particularly talented young women singers such as Dottie West and Loretta Lynn. Her long-term association with producer Bill McCall was, financially, ``probably the single biggest mistake Patsy made in her professional life,'' claims Nassour, but he gives McCall great credit for promoting Cline's career. Although Cline died in a plane crash 30 years ago, her musical influence has persisted. "Ellis Nassour manages to show the struggle Patsy Cline went through to make it to the top, from her high school days in Winchester VA to her too early death at 30 in a crashed airplane in Tennessee. Lovers of good music who can sing every note of every Cline song, and mimic each break in that unique voice, will learn she grew up collecting Kay Starr records, worked her way around the VA-WV-MD fraternal club circuit, wasn't always popular in her home town and cut a wide path for female country singers to follow. She was a country singer when country was country. 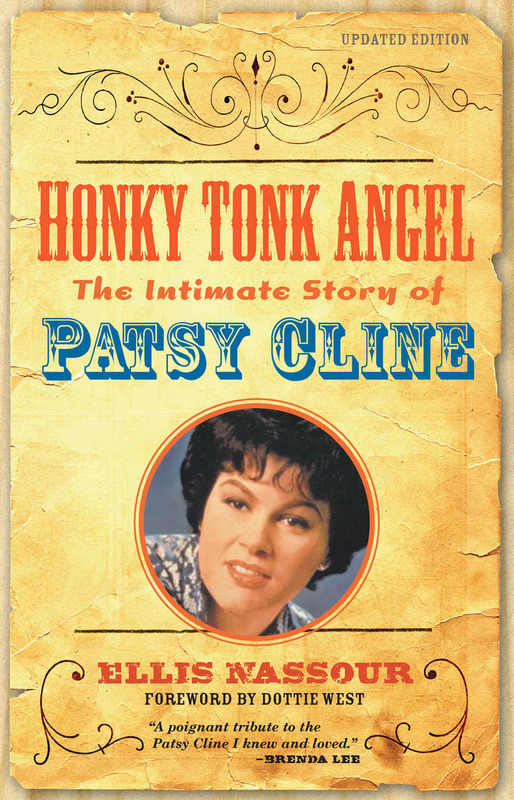 But she was also the first to use strings and when Owen Bradley added Floyd Cramer's piano to those famous recording sessions, the real Patsy Cline sound matured in the style still heard around the world today. Well documented, good photos, immensely readable." Among the most adored female singers of our time was Patsy Cline, a woman who, according to her friends and enemies alike, had a foul mouth, a kind heart and, above all, a golden voice. Ellis Nassour traces a true rags-to-riches story as he details how Cline--born Virginia Hensley in Gore, Virginia, in 1933 -- broke hearts, enraged songwriters and producers and delighted fans. Cline's never-ending search for stardom -- which sometimes led to losing friends and lovers -- and her incredible zest for life even during difficult times keep the book exciting throughout. Nassour, who obviously knows his territory, successfully "proves his thesis" that Patsy Cline was the first female country singer to cross the line into pop and blues. The author's insights are particularly effective because, in compiling his information, he spoke with dozens of Cline's contemporaries, many of whom gave conflicting stories regarding specific events. The tale of Cline's tragic death in a plane crash with two musician friends and her manager is told with poignancy. Especially touching is the last chapter, which is devoted to the reactions of her two young children, her mother, her husband and her friends, and how all of them managed life without Patsy.